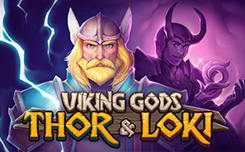 Slot Viking Gods: Thor and Loki introduces the players to the German-Scandinavian mythology, headed by the gods Thor and Loki. 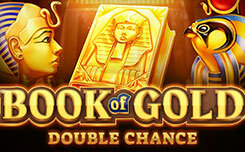 The conditional division of the heroes of the slot machine into good and evil has made its corrections to the set of characteristics, where a set of prize features and two modes of free spins are presented. 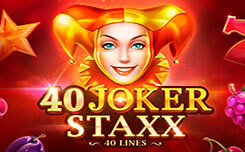 Battles of the ancient gods will be held on five drums and 15 paylines. 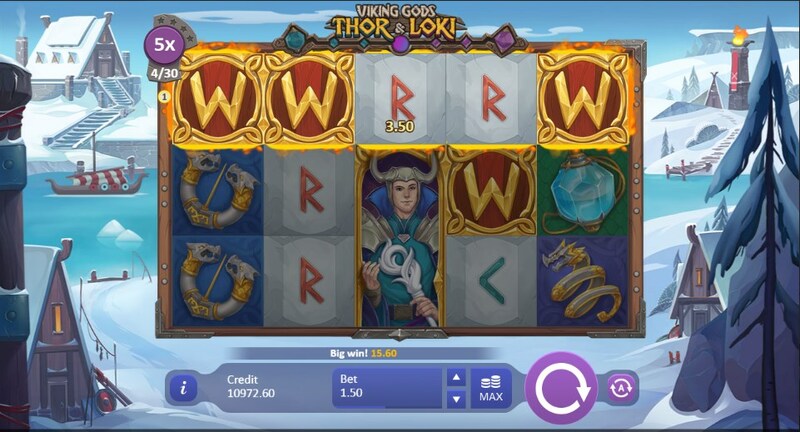 Among the simple symbols, you will meet: runes, crystals and bottles with magic potions, symbols with special abilities are represented in the form: wild (sign with the letter W) and scatter (Tor or Loki). 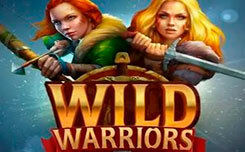 Bonus 2 × 1 – four wilds in random cells. 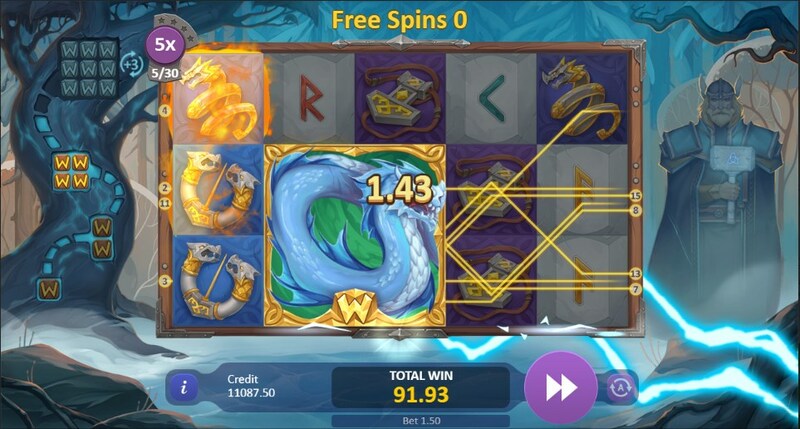 In the game, two kinds of free spins, which include 10 spins, can be launched in two ways: the full symbol of one of the gods on the central column or the entire set of achievement tables that are executed during the main game. 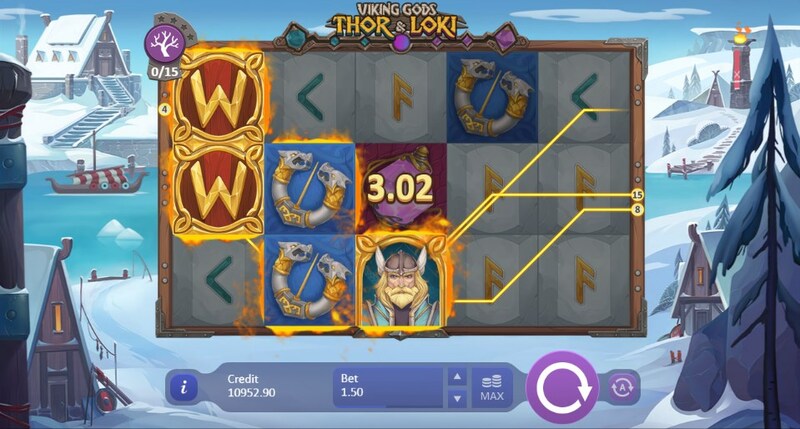 Thor free spins – In each launch appears snake – wild, increasing in size. It can take up to nine (3×3) cells. Blue crystals are paid for by increased coefficients, they allow the snake to grow and prolong the round. 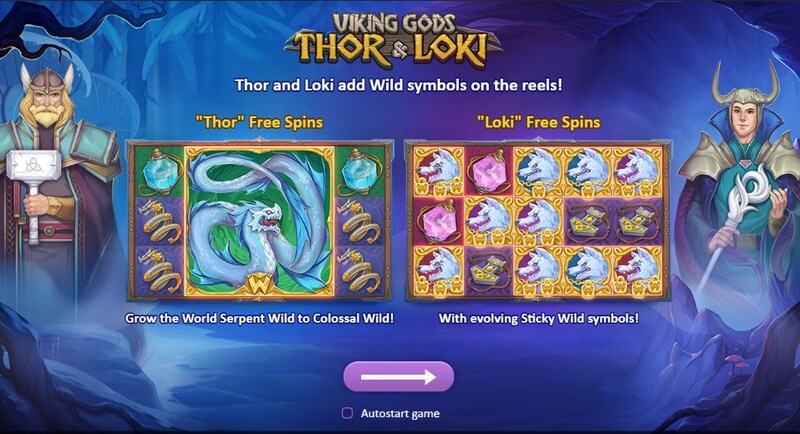 Loki free spins – With each new spin on the screen there is a “sticky” wild in the form of a formidable wolf. He does not disappear until he takes part in the formation of the combination. 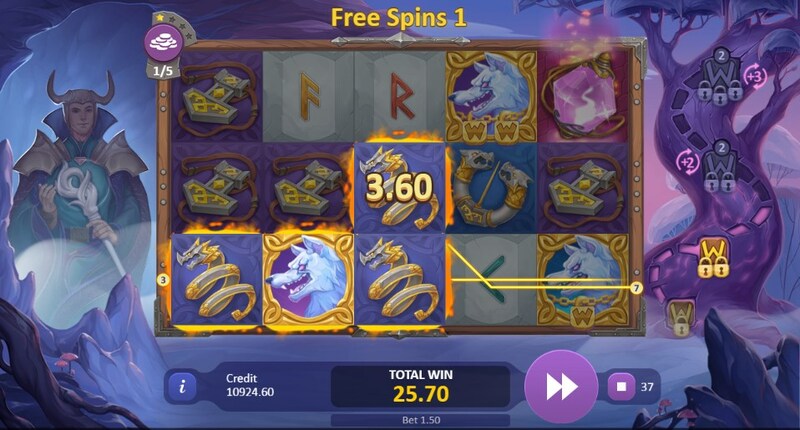 Pink crystals bring increased wins, extend the “lives” of wolves on the screen and have other prize opportunities.